Point of Sale Systems - Simplex Technologies, Inc.
RETAIL POS SYSTEM AND RESTAURANT POS SYSTEM ROLLOUTS, UPGRADES & ON-DEMAND INSTALLATIONS. We are comprised of in-house trained technicians in 3 locations throughout the United States to carry out every aspect of your POS deployment. Our experienced Project Managers provide a single point of contact throughout your entire POS rollout, be it for a single POS installation or thousands of devices. With over 10 years of experience in retail point-of-sale technology, Simplex Technologies excels in customer satisfaction. Simplex Technologies’ “Absolute Reliability” belief ensures proficiency and accountability! When you are looking for a one stop solution for all point-of-sale installations and rollouts, think Simplex Technologies. Whether you are just adding a peripheral or key station, or swapping out your entire POS system, our certified installers can get it done right the first time, with minimal downtime, and within budget. 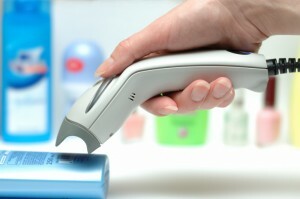 We have POS hardware and software solutions for all lines of retail business.